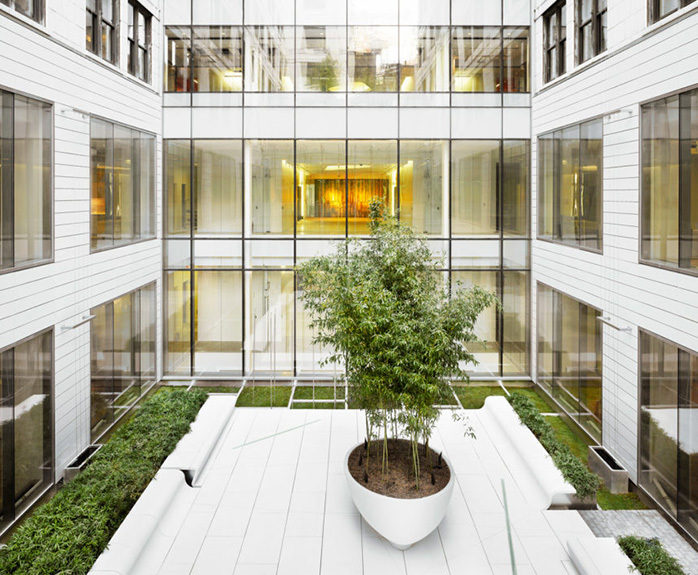 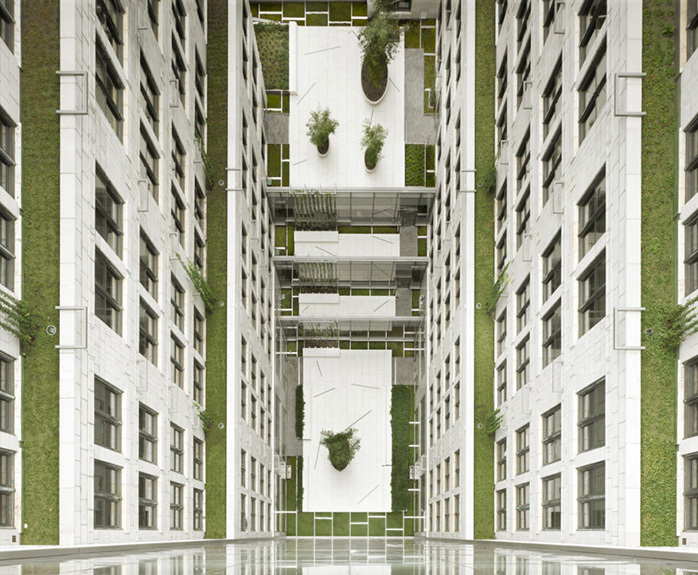 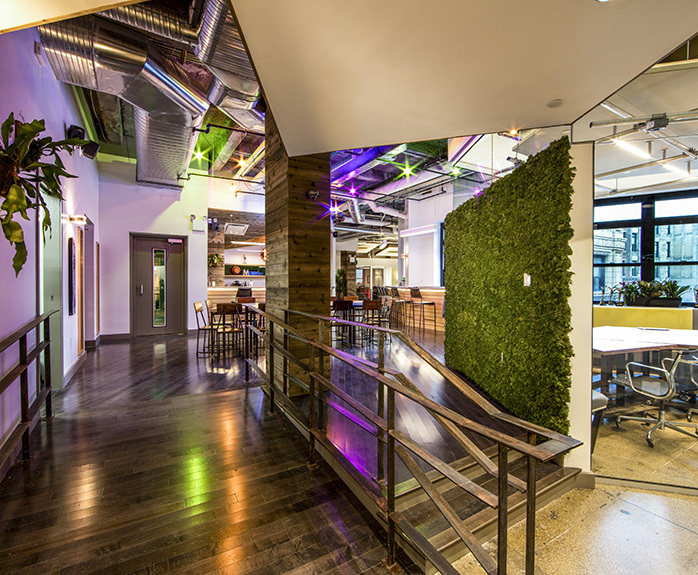 The demands related to a changing environment have increased the pressure on COMMERCIAL properties to green their facilities and reduce operating costs without compromising occupant comfort. 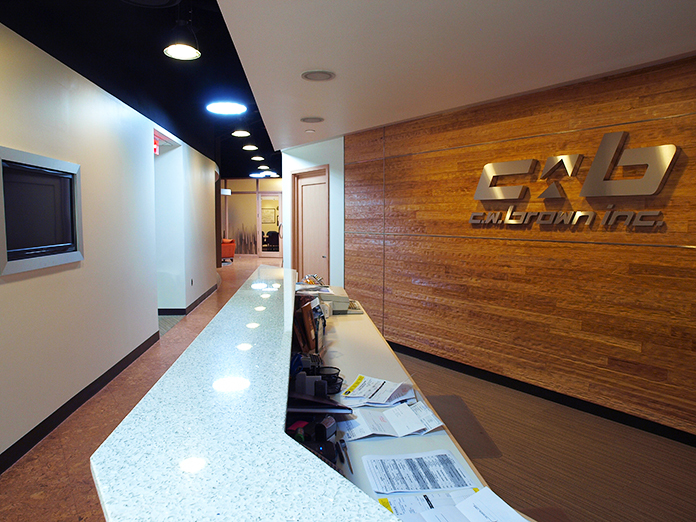 OLA is your partner in obtaining this balance. 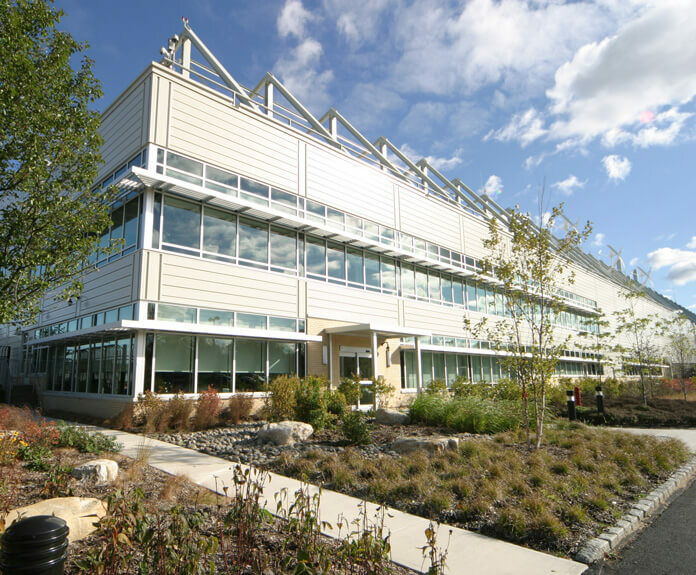 The Headquarters Building is a 420,000 square foot office building with a 7-story parking garage for 700 employees. 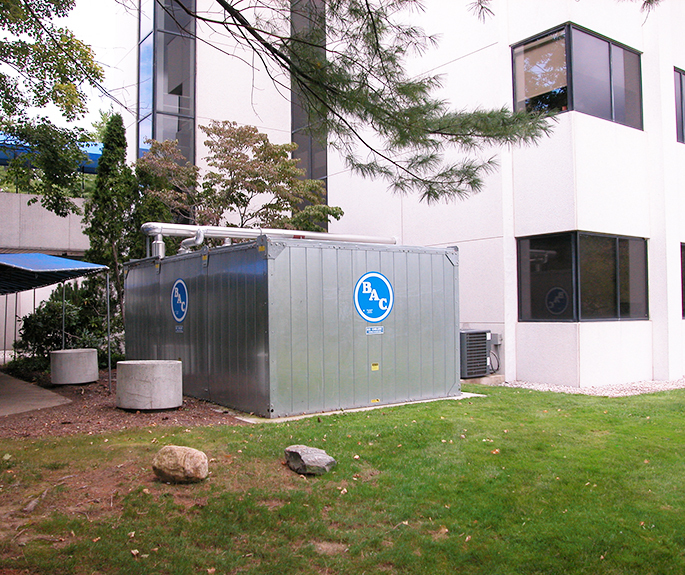 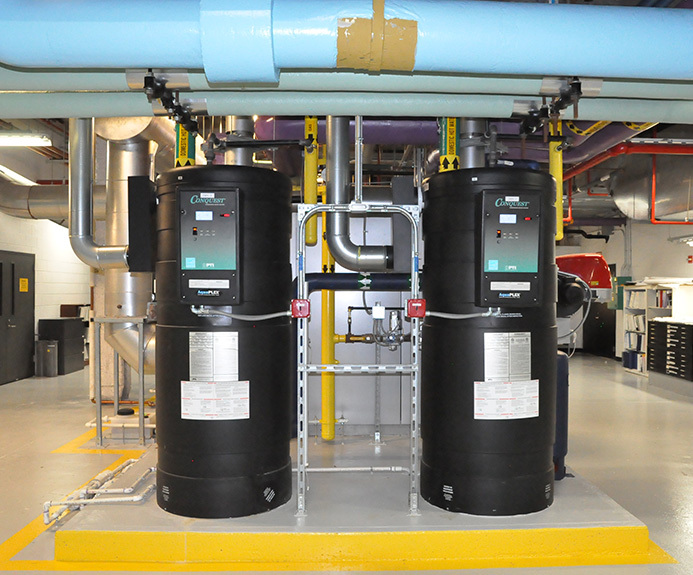 OLA was brought on board to perform an energy audit of the Swiss Re campus and looked at replacement options for the aging absorption chiller plant through the NYSERDA FlexTech Program. 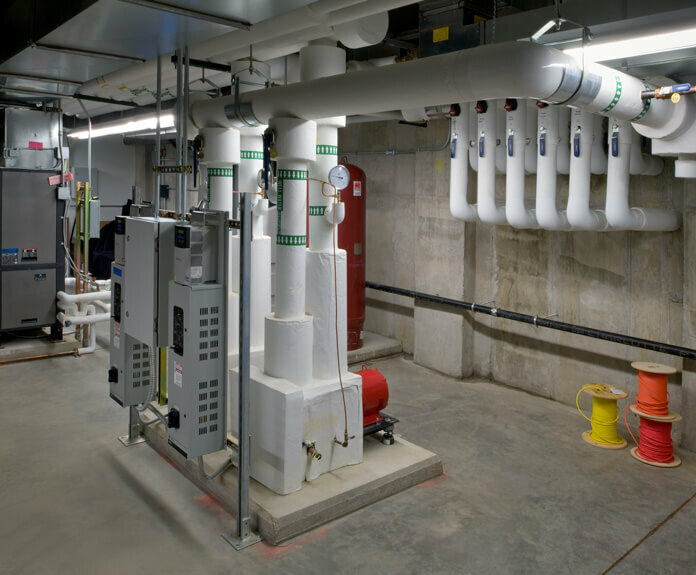 OLA provided design and commissioning services for the first phase of energy measures that were implemented, including replacement of the central chiller, boiler, and domestic water heating plant. 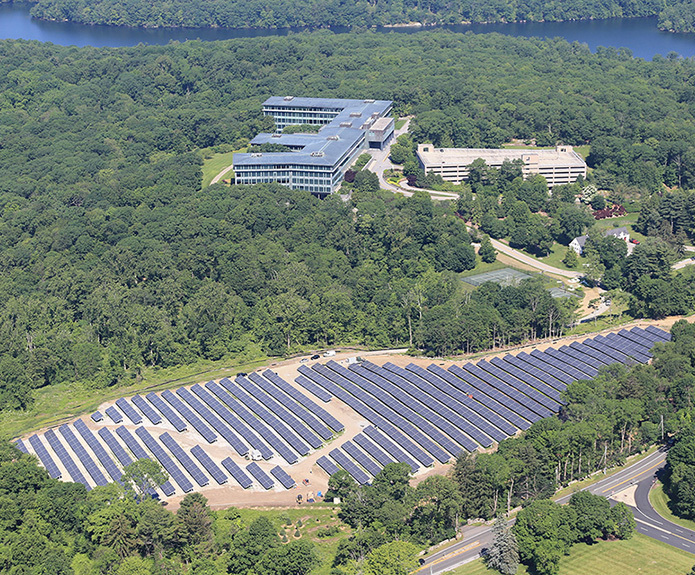 In addition, as part of Swiss Re’s goal of becoming 100% powered by renewable energy by 2020, OLA provided solar system consulting and commissioning for a 2.7 MW ground-mounted photovoltaic solar array covering 10 acres at the headquarters building. 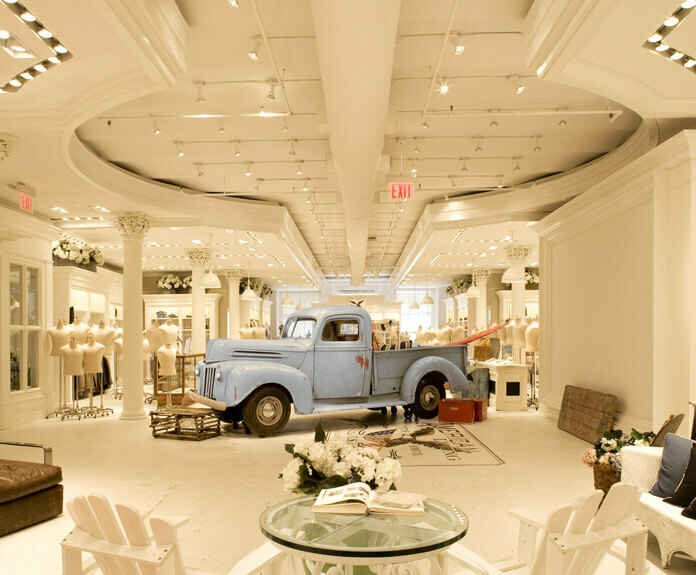 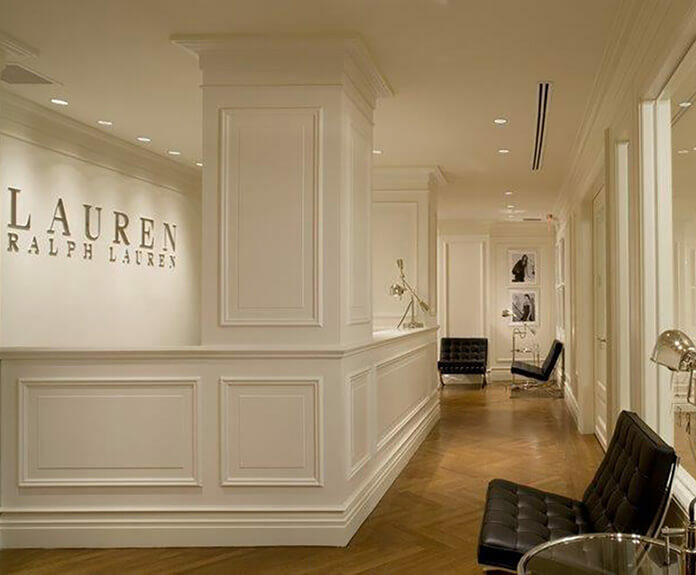 From new construction to retrofit, OLA has provided engineering services for Ralph Lauren’s corporate facilities since 1989. 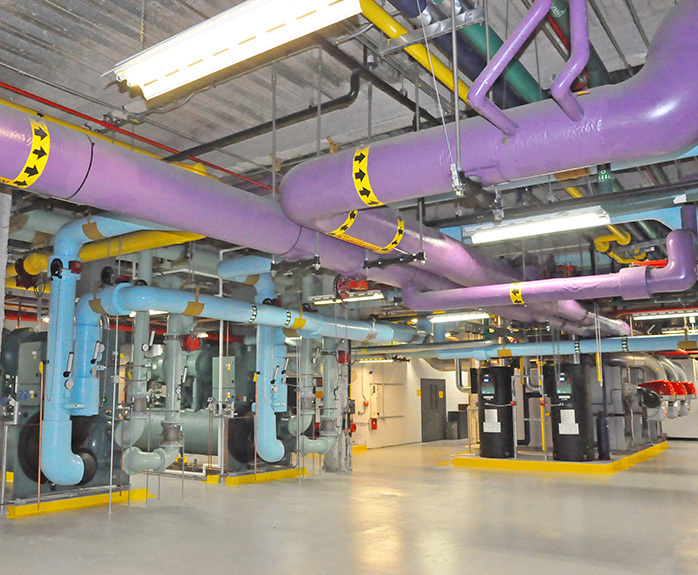 Each year, design work totals hundreds of thousands of square feet and spans beyond the tristate area; facilities range from showrooms, office buildings throughout Manhattan, warehouses in Long Island City, corporate data centers in Greensboro, North Carolina, and storage facilities throughout New Jersey. 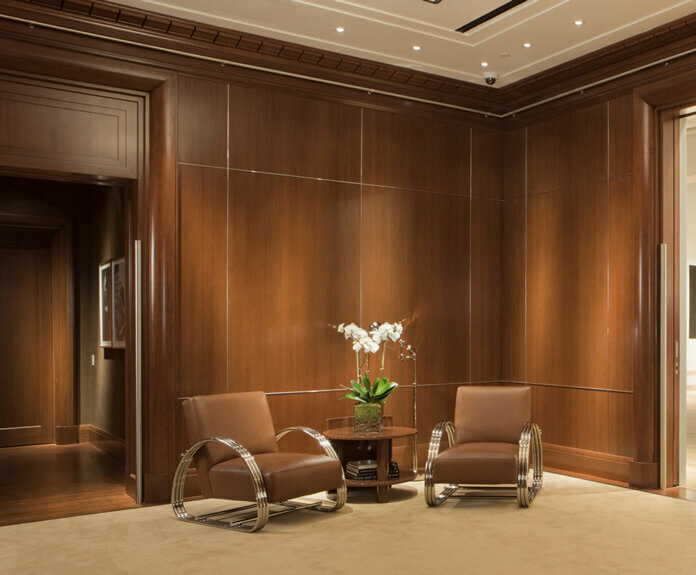 One recent project at 25 West 39th Street achieved LEED CI Silver. 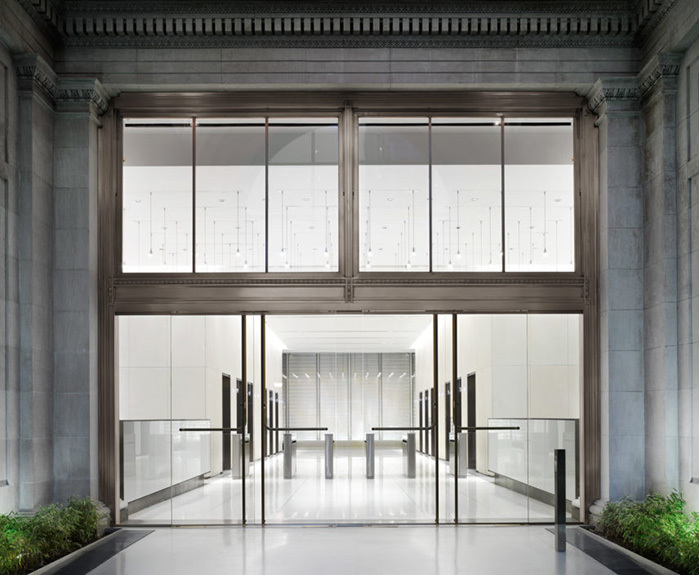 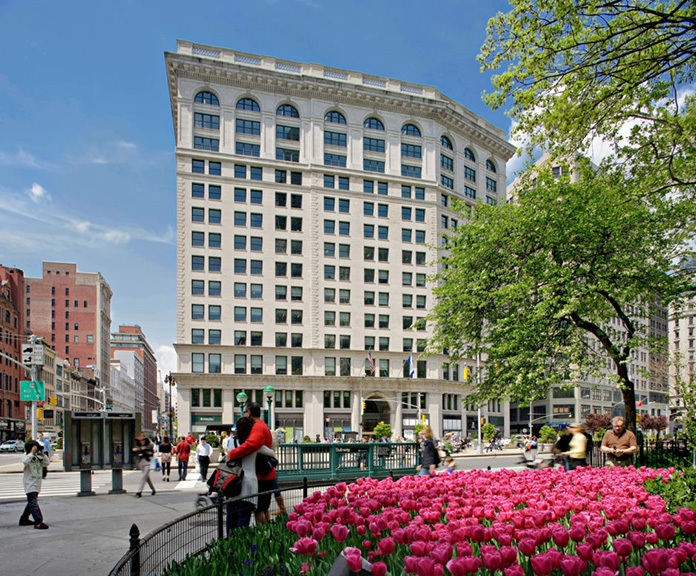 LEED Core & Shell renovation of a 650,000 square foot landmark building. 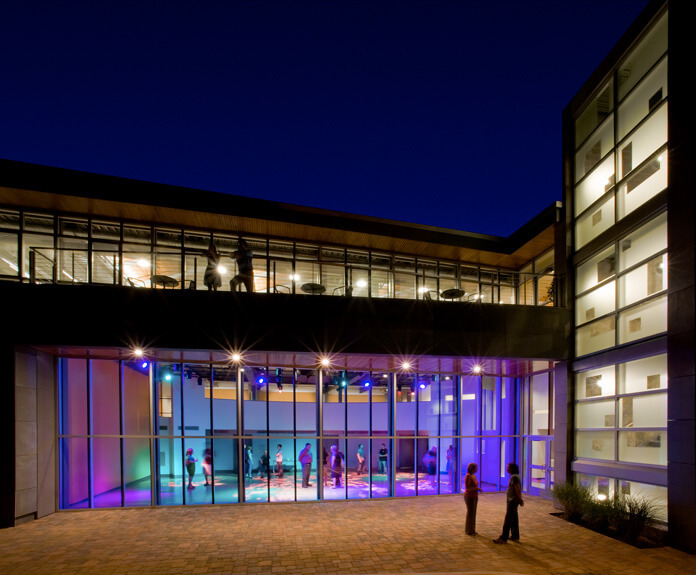 This renovation included new curtain wall façade, new HVAC systems, and new lighting and power distribution systems. 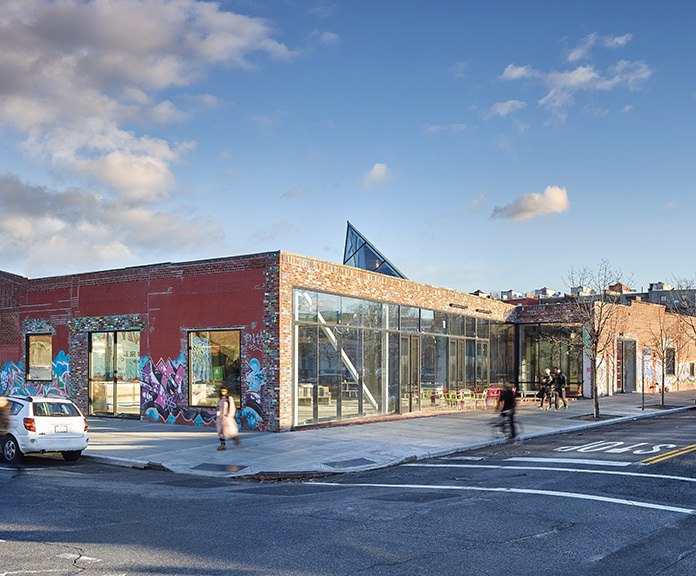 The exterior envelope of the building underwent a complete historic restoration. 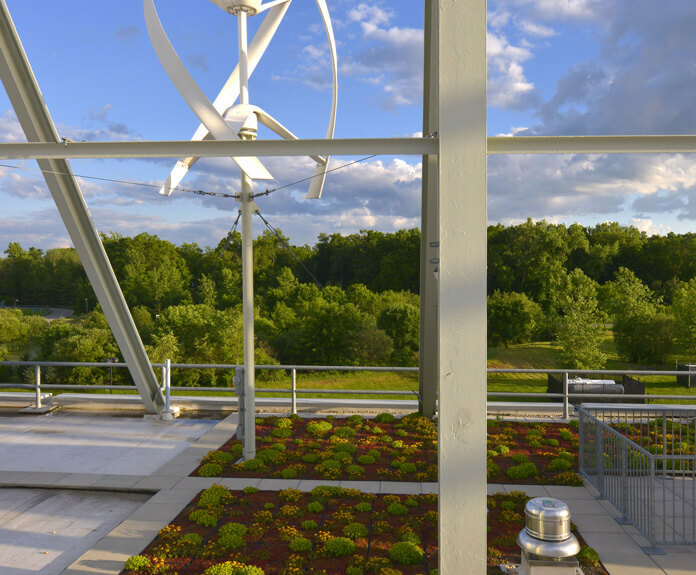 The building was certified LEED Gold for Core & Shell and received over $400,000 in NYSERDA incentives. 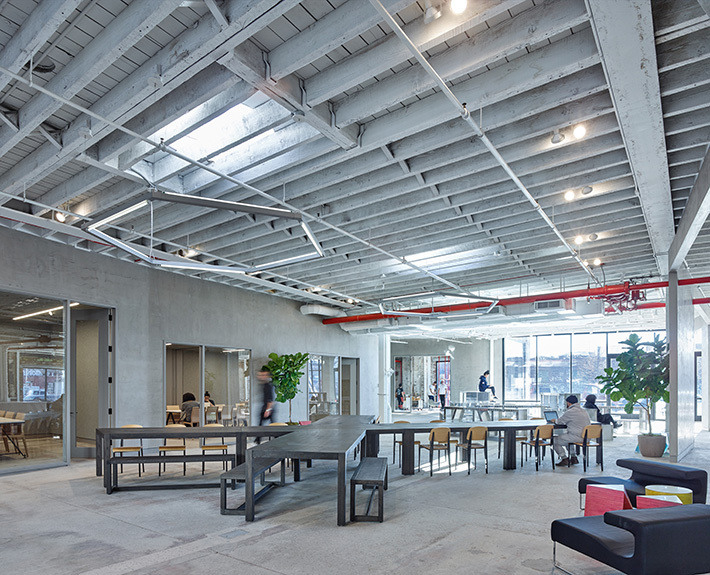 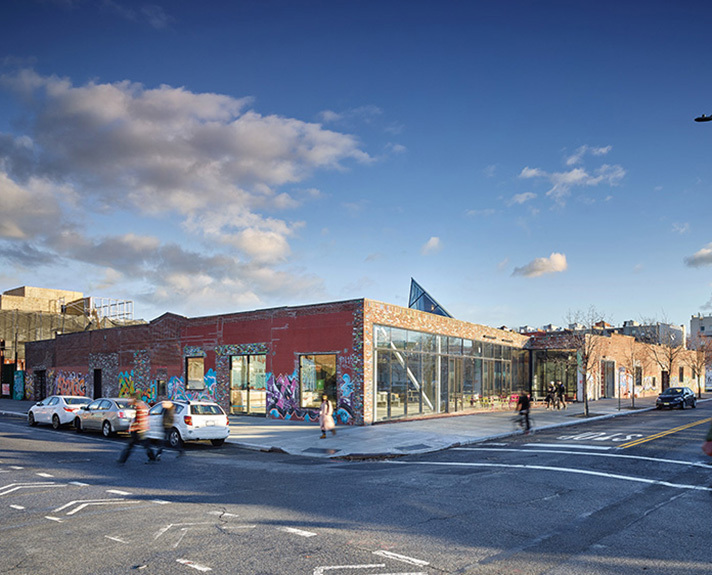 New 23,000 square foot creative space in a former Greenpoint warehouse. 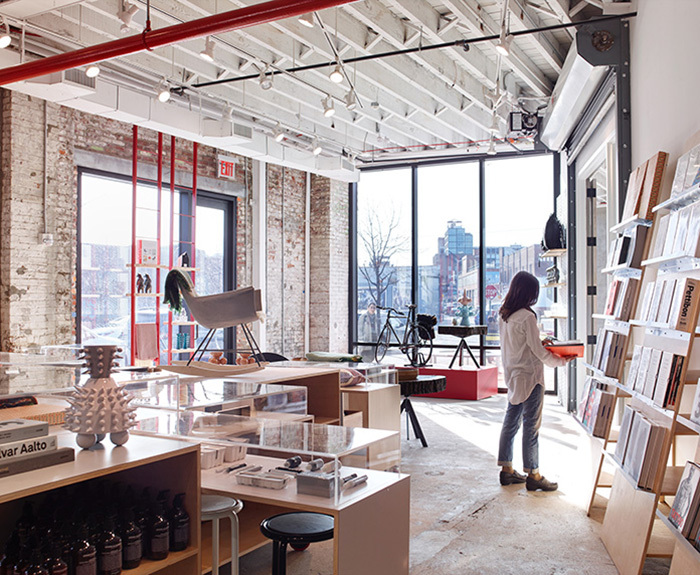 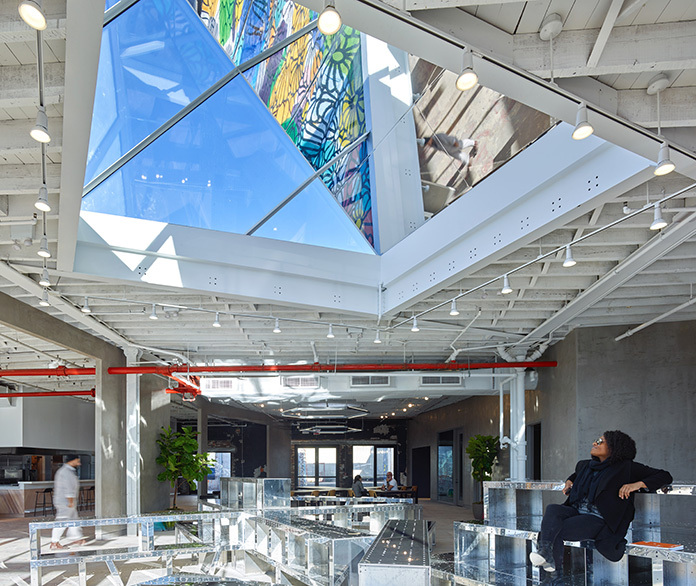 This new creative hub oriented toward designer and maker types in New York includes spaces for events and exhibitions, design education, free communal workspace, a fabrication lab, a design shop, and the new restaurant Norman. 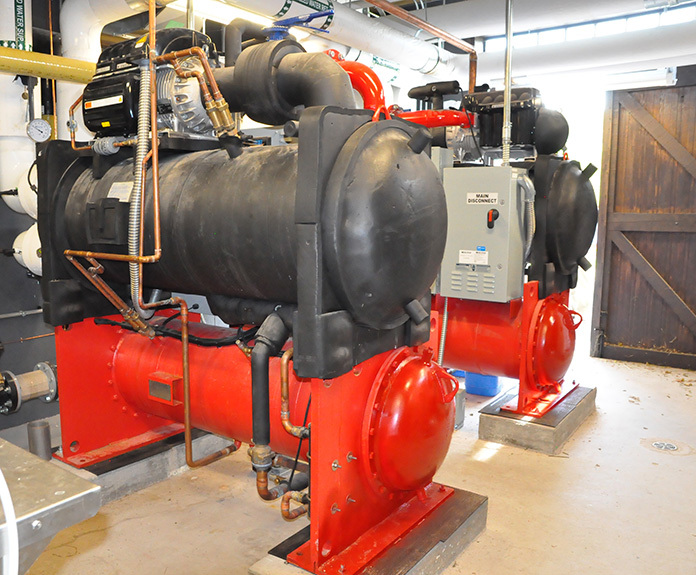 For this unique building renovation, energy modeling was needed to prove compliance with Energy Code. 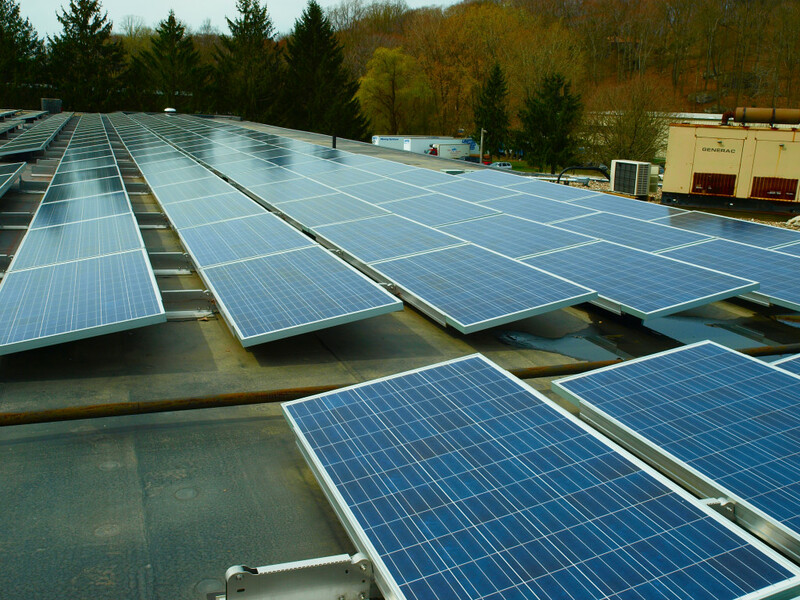 59,000 square foot LEED NC Platinum facility with the first wind turbines in Westchester County. 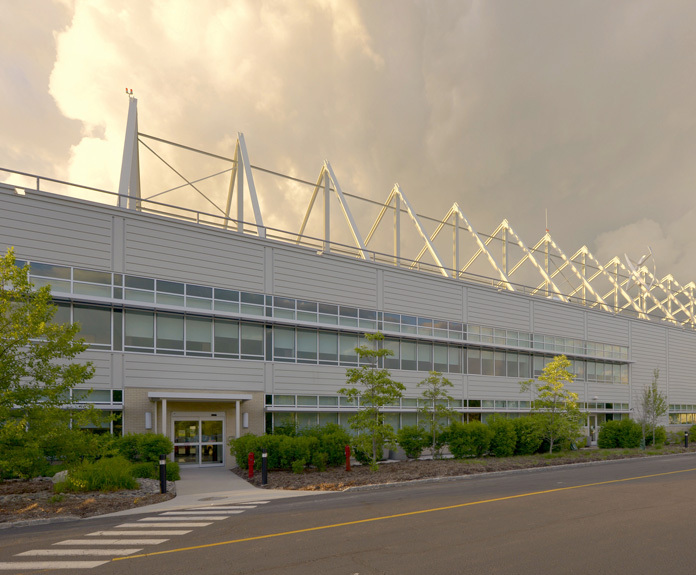 OLA’s design included wind turbines, thin film photovoltaic system, electric service, diesel generator, lighting control with integrated daylight and occupancy sensors, rainwater harvesting, condensing boilers serving an energy efficient HVAC system, ultra-low flow fixtures, and waterless urinals. 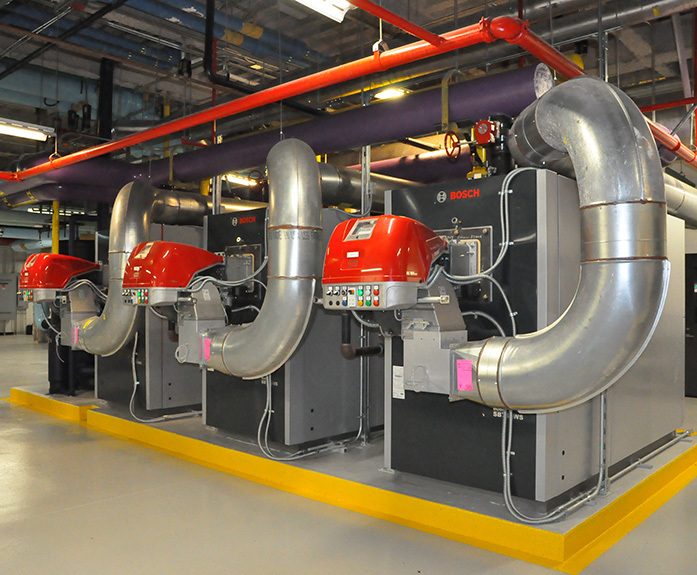 Energy features combined to achieve a 48% energy cost reduction compared to the LEED baseline. 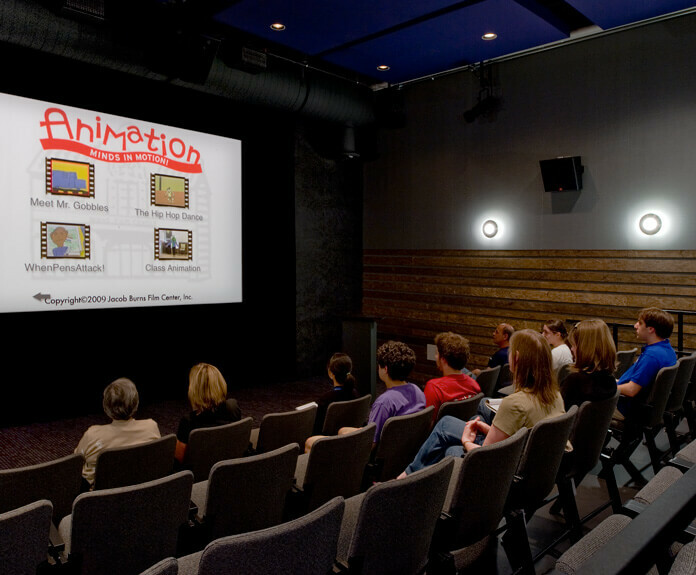 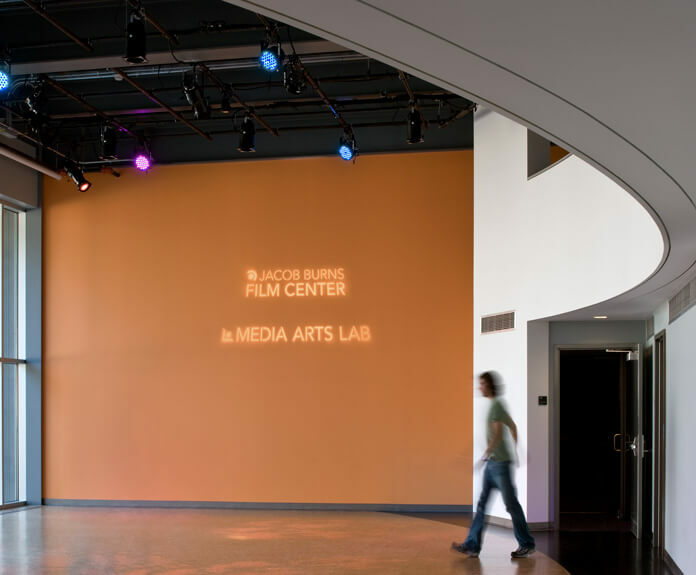 New 28,000 square foot Media Arts Lab that achieved LEED Gold. 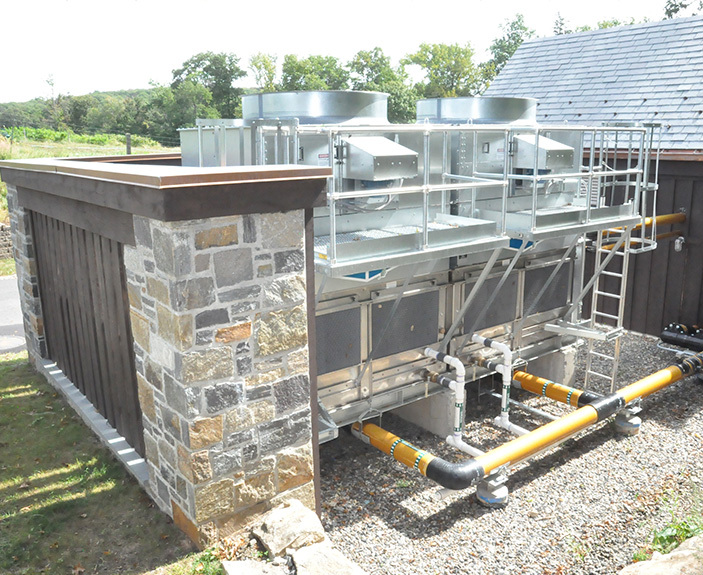 OLA’s design included a vertical well closed loop geothermal heat pump system, dedicated outdoor air system with heat recovery, radiant floor fed by a condensing boiler serving the two story studio, photovoltaic power generation, daylight controlled lighting on upper level office with architectural sawtooth roof that all combine to achieve over a 30% energy cost savings compared to the LEED baseline. 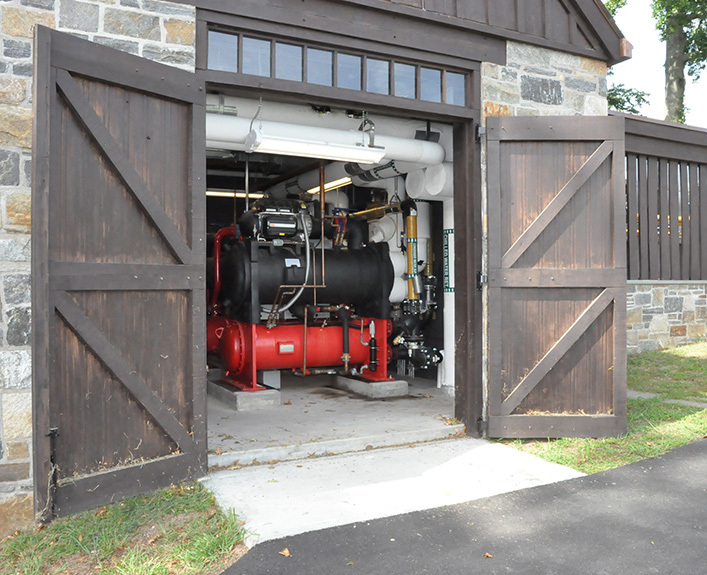 Energy use reduction program for the 80-acre farm and community center. 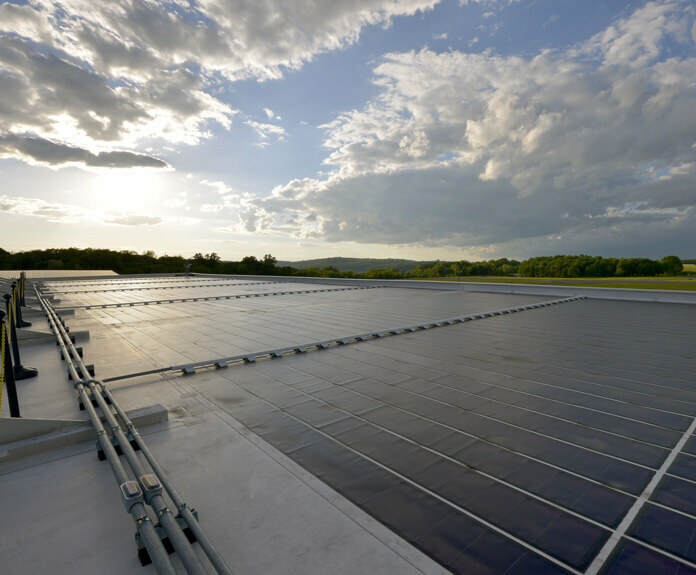 OLA performed a comprehensive sustainability master plan with a path to net zero energy usage for the main buildings on the campus with a series of energy use reduction projects and on-site energy generation projects budgeted over a twenty-year period. 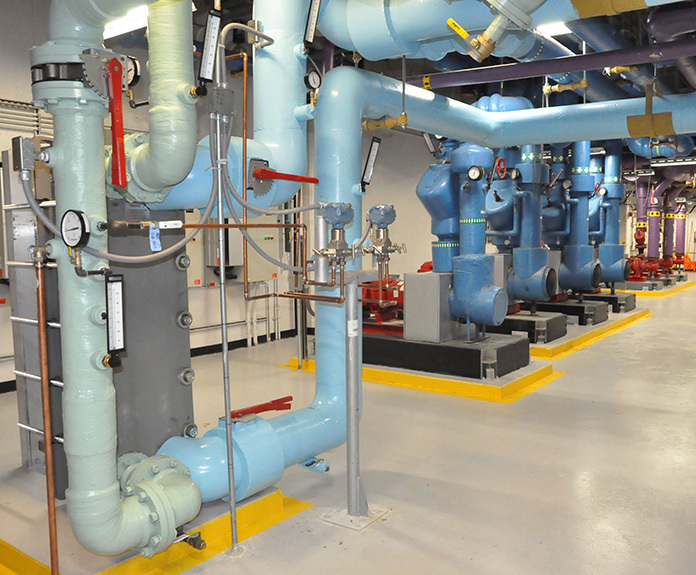 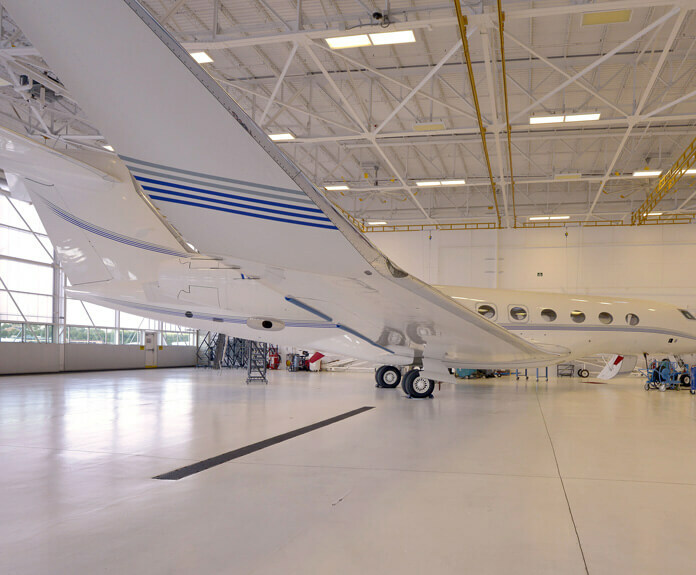 Projects include variable flow kitchen exhaust, chiller plant upgrade, control systems upgrades, a bio-mass boiler system, and a ground-mount solar array. 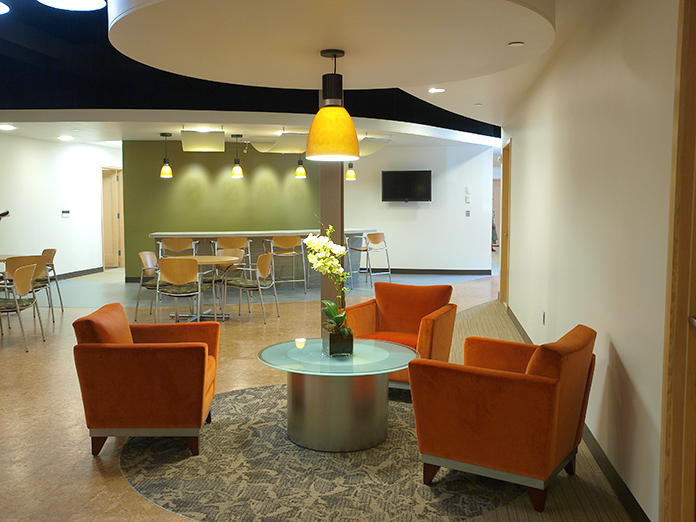 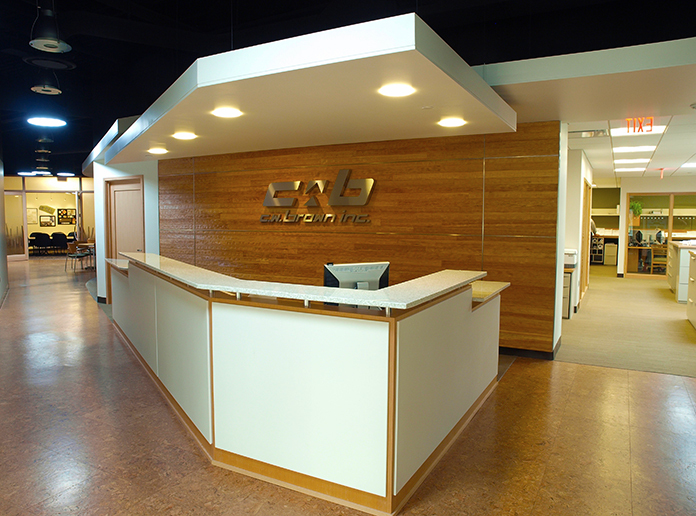 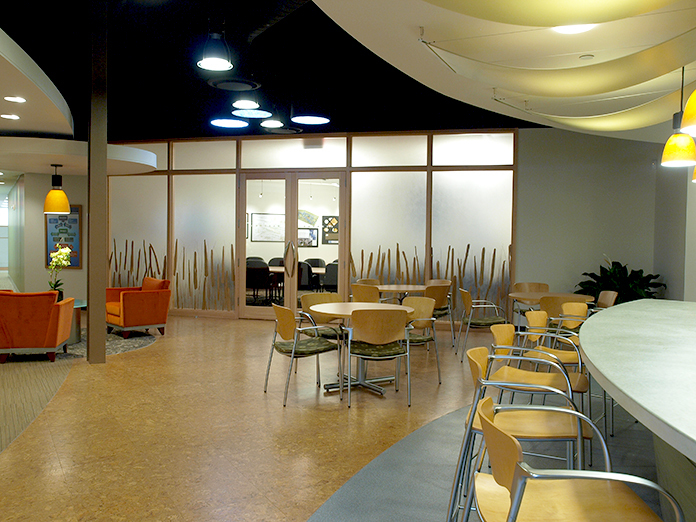 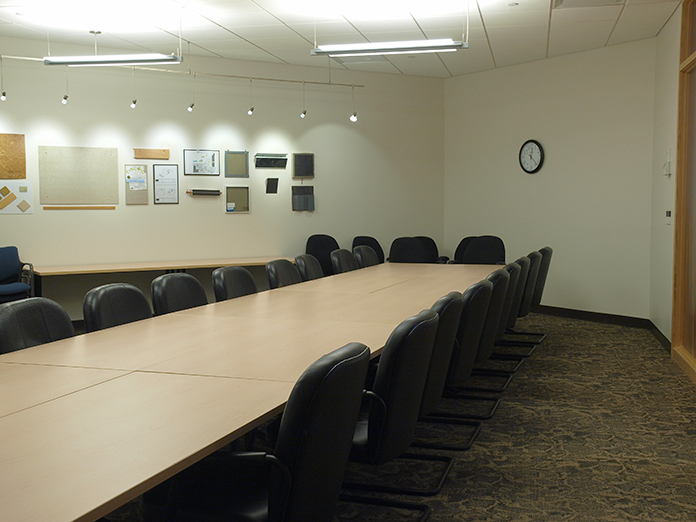 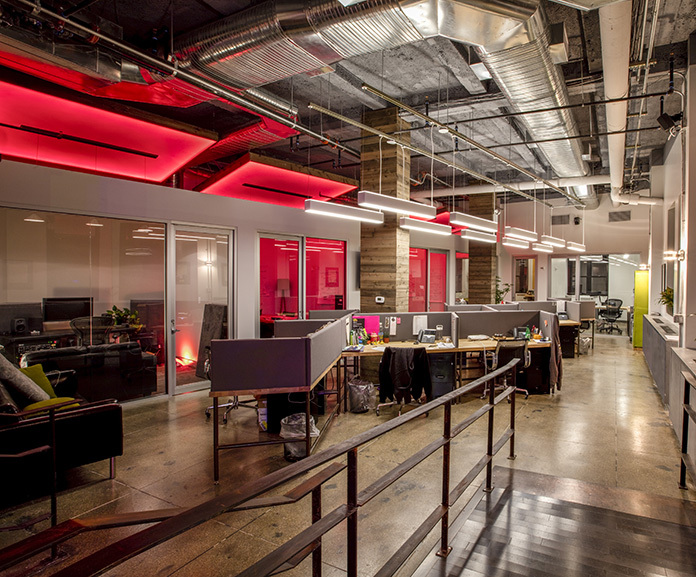 OLA performed the energy consulting and commissioning for this office renovation. 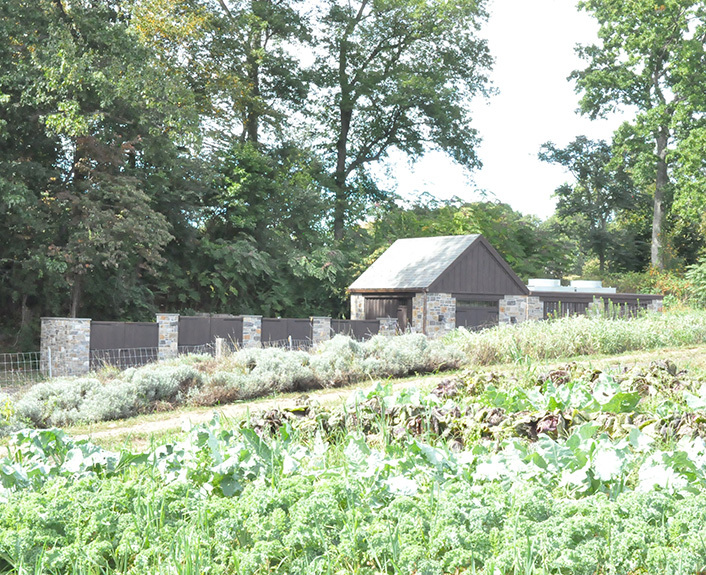 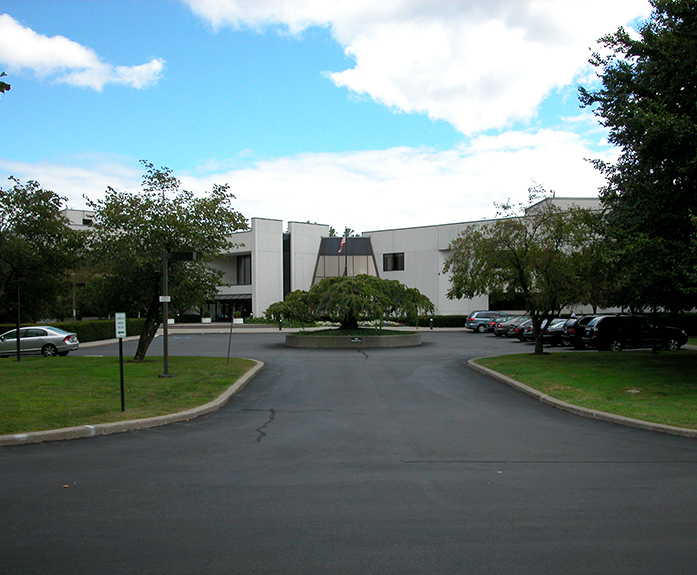 The project is registered as the first LEED Platinum project in Westchester County. 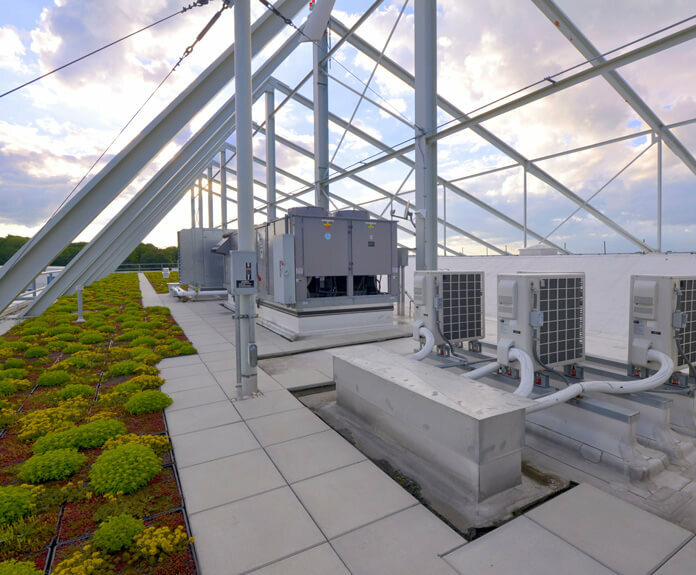 The HVAC systems include high efficiency boilers, high efficiency rooftop packaged units, and demand controlled ventilation. 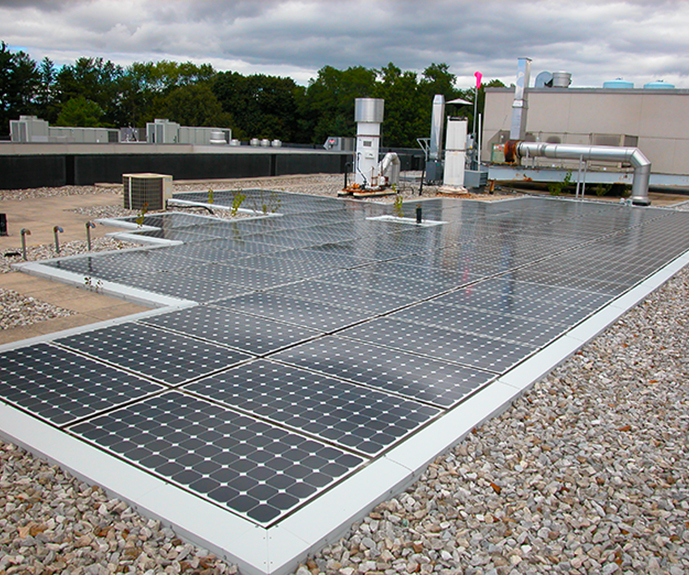 Commissioning services cover both LEED fundamental and LEED enhanced commissioning. 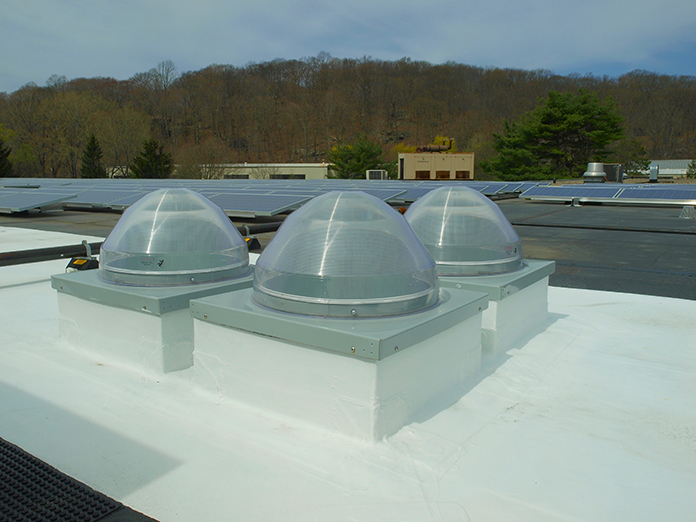 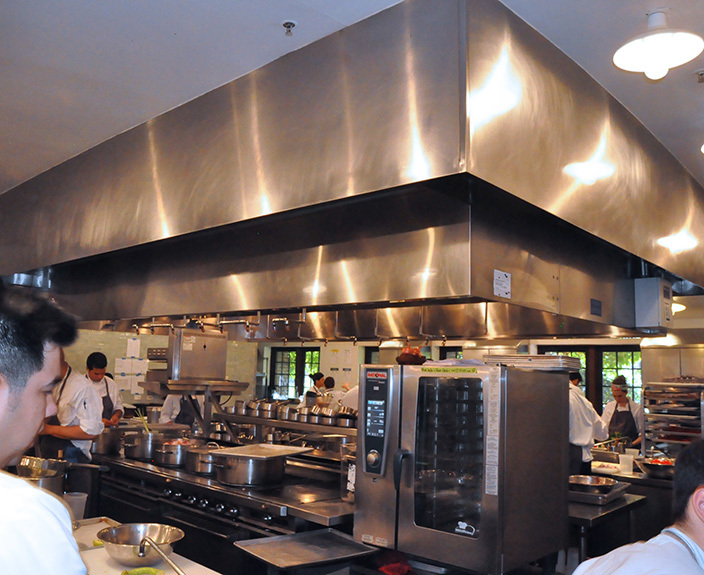 OLA’s services began with a study of potential energy savings measures of the entire campus. 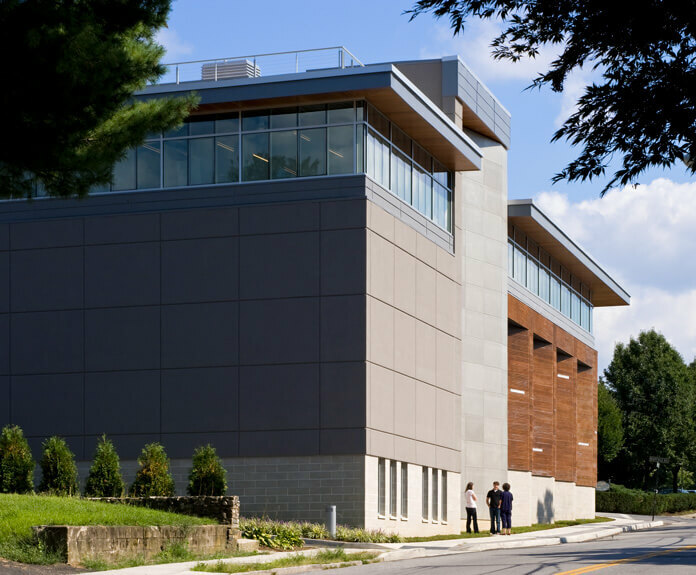 For the R&D building, the study demonstrated capital improvements costing approximately $900,000 could yield an annual energy savings of over $117,000 with a 7 year simple payback. 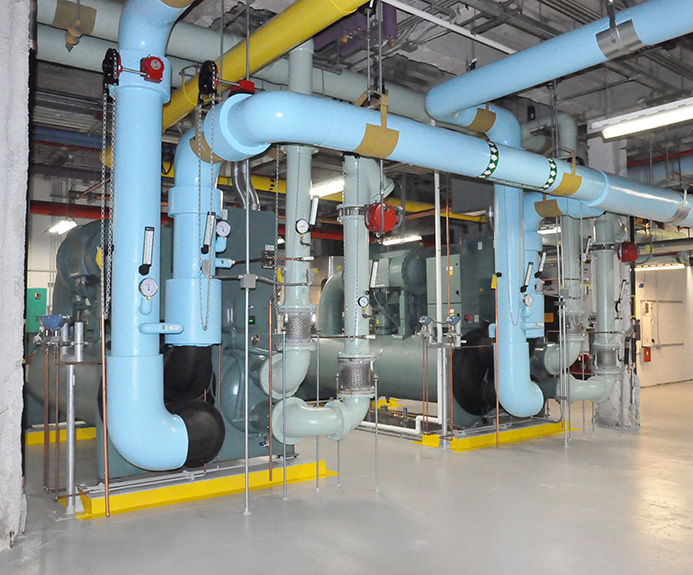 Subsequent energy projects included air handling system replacements, new chiller plant with ice storage system, photovoltaic solar power generation, and lighting upgrades. 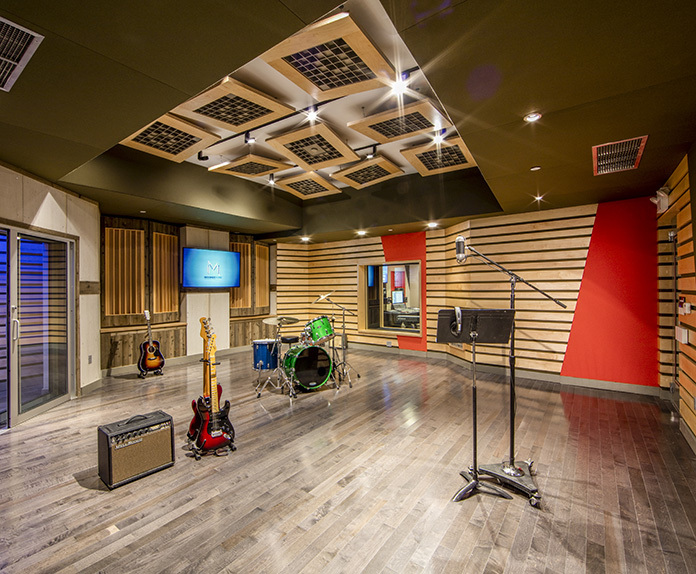 12,600 square foot music studio complex. 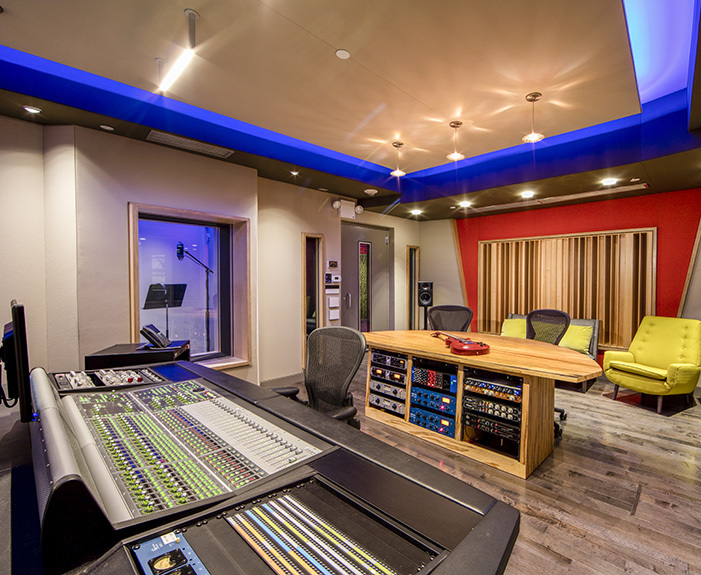 OLA performed the MEP systems design for the renovation of this studio “office” consisting of four recording studios offering different dimensions and functions, a café/creative lounge, and a laboratory/conference room. 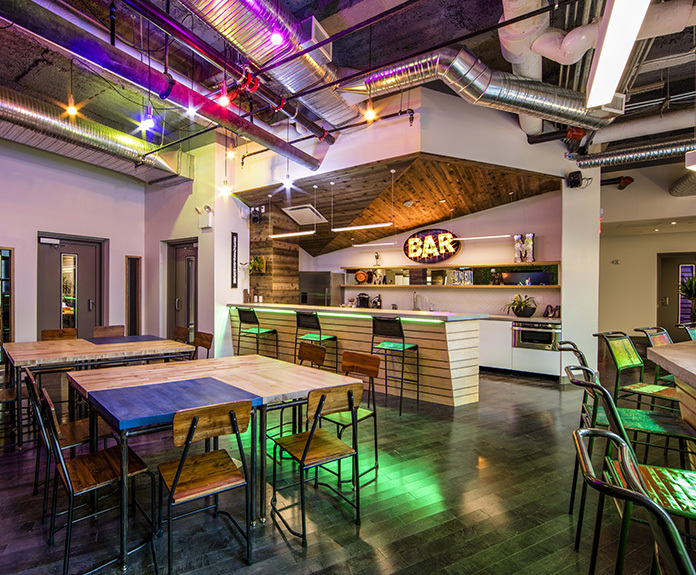 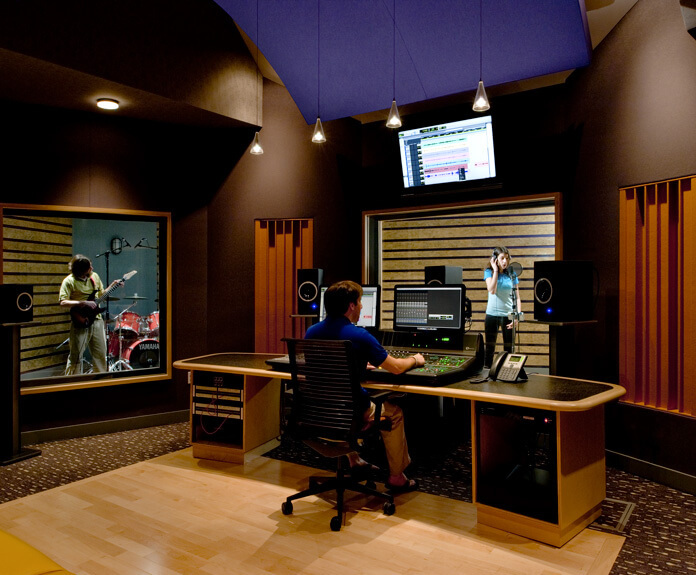 The new studio was designed to be a hub of creative collaboration in service of their clients, staff and music collaborators. 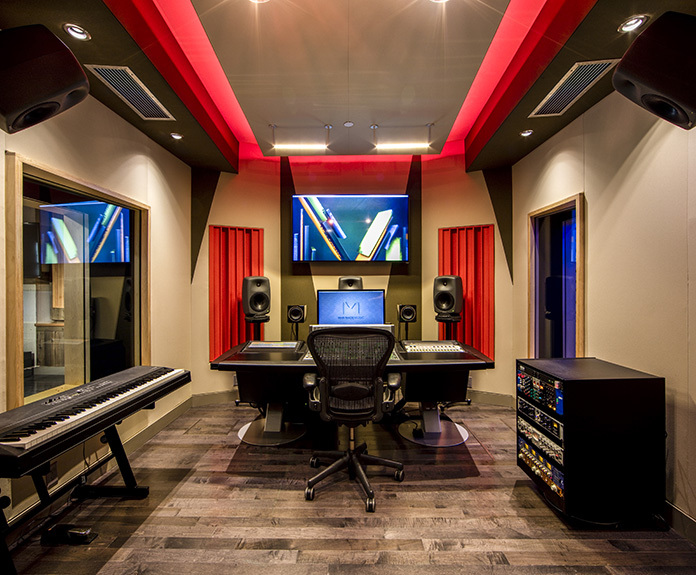 The HVAC system design had to meet strict acoustic requirements for the recording studios.